Kept you waiting, huh? In total honesty, I totally did keep you guys waiting, as the plan was to have this list posted this past Friday, but a little game called Monster Hunter World interrupted those not-so-firm-after-all plans of mine. One lost weekend later, and it's finally time for the last, ultimate category here at the SuperPhillip Central Best of 2017 Awards: The Top Ten Games of 2017, as honored by me. These games aren't necessarily the best of the best, as I can't possibly play every game released from 2017. (Well, not without going completely insane.) Thus, this selection of ten games of 2017 is based on the ones I played, which was around 200 games this year. Regardless, I'd love to know your thoughts on my picks, and I'd love to know which games are your favorites from 2017 in general. This is a celebration of the past year of gaming, so let's keep it positive and productive! Now, without further ado, it's time to list off SuperPhillip Central's Top Ten Games of 2017! Samus did, in fact, return with a new take on an old Game Boy classic with the Nintendo 3DS's Metroid: Samus Returns. With new means to destroy enemies, impressive counterattacks, radial aiming, and new Aeon abilities, Samus was in peak form to take on the Metroid menaces plaguing planet SR388. 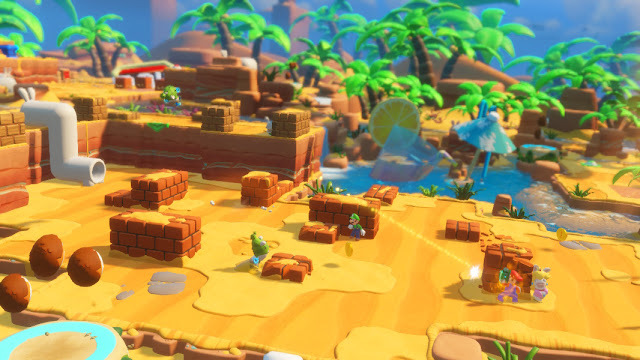 Fresh story beats and bosses added into the mix meant expanded lore to the series, and with the game's ending, things have been set up for a brand-new chapter in the much celebrated franchise. Metroid fans were going crazy waiting for the return of Samus Aran and the Metroid series, and Metroid: Samus Returns turned out to bring the series back in a bold, brave new way. This digital delight came out of nowhere for me and dazzled me with its more focused concept. Gone from the original SteamWorld were the procedurally generated levels that did mean a different experience every time, but they also meant less getting to know shortcuts, accessing secret portions of levels, and taking on carefully crafted sections of the game, hand-tailored by the designers. 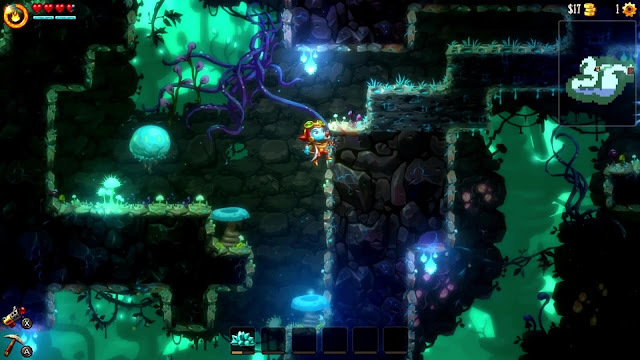 Instead, SteamWorld Dig 2 boasted intrinsic design to its levels, gameplay, upgrades, secrets, and story. This 10 hour game was such a joy and blast to play through, and it's the type of 2D platformer that will definitely be returning to in the near future now that my initial play-through is complete. 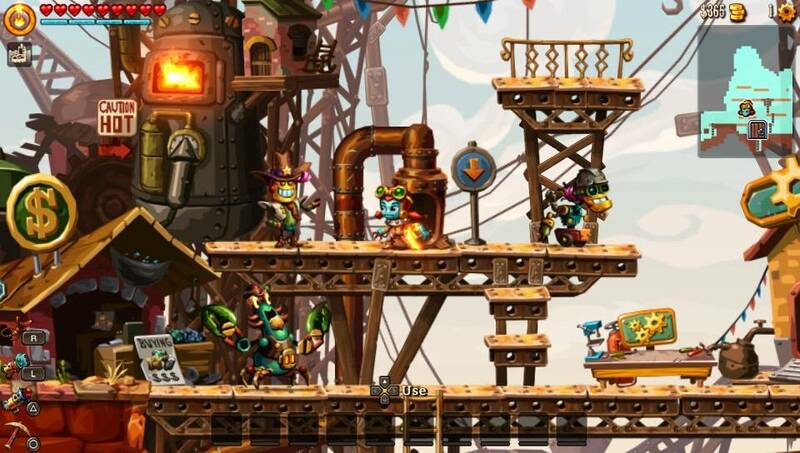 SteamWorld Dig 2's platforming -- with its combination of running, jumping, wall sliding, grappling onto faraway objects like walls and ceilings, and even jet-pack riding -- possessed such tight controls that performing actions was easy to do at any time. SteamWorld Dig 2 is a full step up from the original Dig that it's astonishing how far the series has improved with a couple of entries. 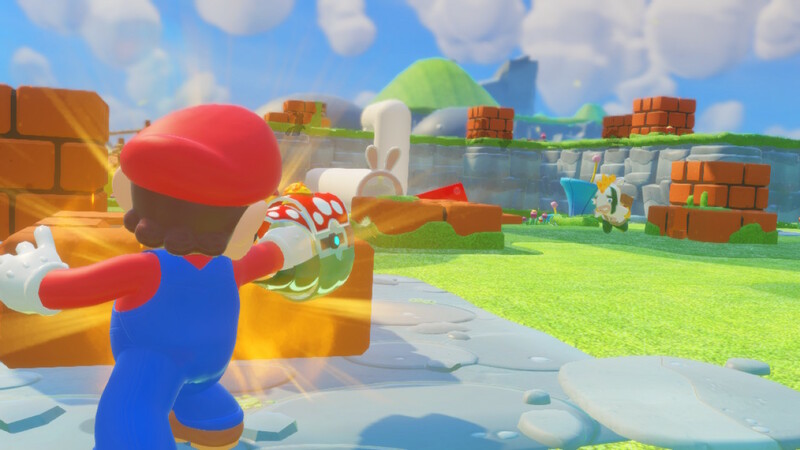 Combining the historic and highly acclaimed Super Mario series of Nintendo and the lesser appealing Rabbids franchise from Ubisoft seemed laughable. Actually, to many it literally was with troll posts, potshots, and hot takes against the game idea. However, laughter turned into pure hype once the game was finally, officially unveiled. This XCOM-like game took on a genre that wasn't usually seen on Nintendo platforms, mixed in a surprising amount of strategy, lots of character customization, and plenty of humor to deliver one of the most out-of-left-field success stories in some time within the gaming industry. The sharp turn that the gaming community took on Mario + Rabbids: Kingdom Battle, from hearing rumors and guffawing at them, to cheering the creative director, who sat proud and in tears at his team's hard work at E3 2017, made for a heartwarming story to an already fantastic game. While the rest of the gaming world is rightfully hyped and diving into the recently released Monster Hunter World, I'm still neck-deep into this Nintendo 3DS spin-off of the main franchise with Monster Hunter Stories. 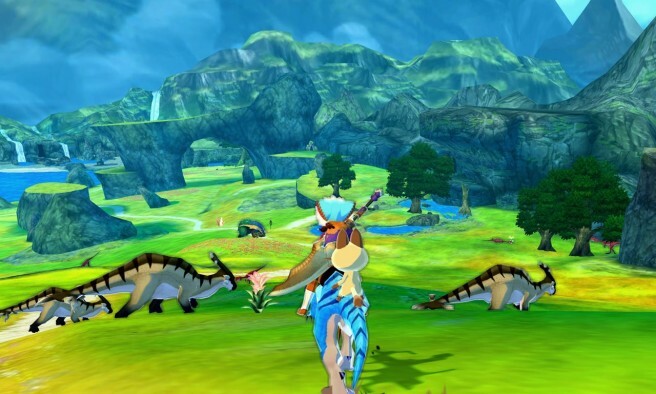 Taking many cues from the mainline games while adding fresh twists to the franchise, such as being able to hatch eggs to collect new monsters, battling in turn-based brawls against beasts both big and small, fighting alongside your Monsties, exploring expansive worlds for materials and treasure, participating in local and online battles, and so forth, Monster Hunter Stories provided and for me, continues to provide, many dozens of hours of playtime to its content-rich story. The visuals and presentation are some of the Nintendo 3DS's best, and since Stories is so different in genre to Monster Hunter World, which launched this past Friday, I won't be getting exhausted from the Monster Hunter franchise any time soon. 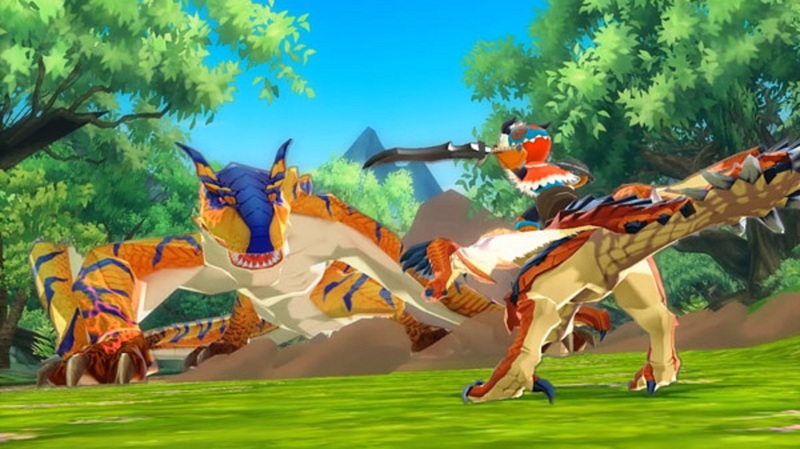 Monster Hunter Stories is a more friendly take on Capcom's long-running moneymaker, and it's most definitely worth mention on this list of my favorite games of 2017. It definitely says something for when I have a game I've already played the Wii U original version of several years ago, and am now putting its Nintendo Switch port on my top ten list of games of 2017. 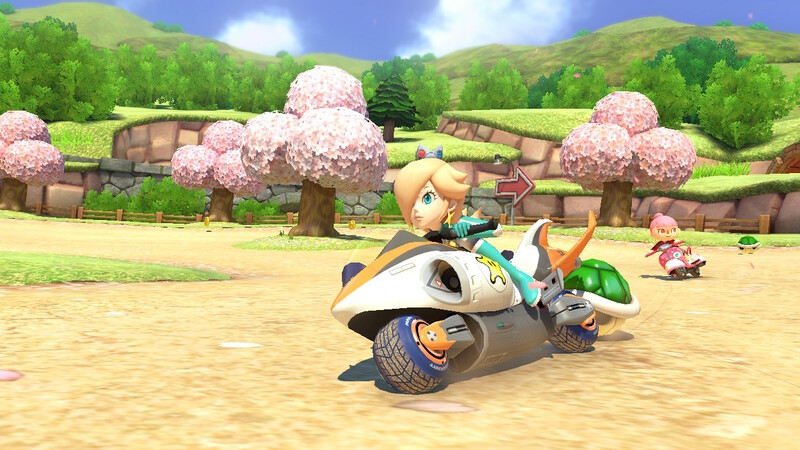 However, Mario Kart 8 Deluxe wasn't just a simple copy and paste of the Wii U game, as a lot of new content and upgrades were added. From a wholly remodeled Battle Mode with eight actual arenas to have insane multiplayer brawls in, to the addition of new playable characters, to the help provided to beginning players with the welcomed Assist mode, Mario Kart 8 got a second time in the spotlight with the Deluxe version. Despite investing over 80 hours easily in the vanilla Wii U release, my family managed to pour an abundance of hours into the Switch release. 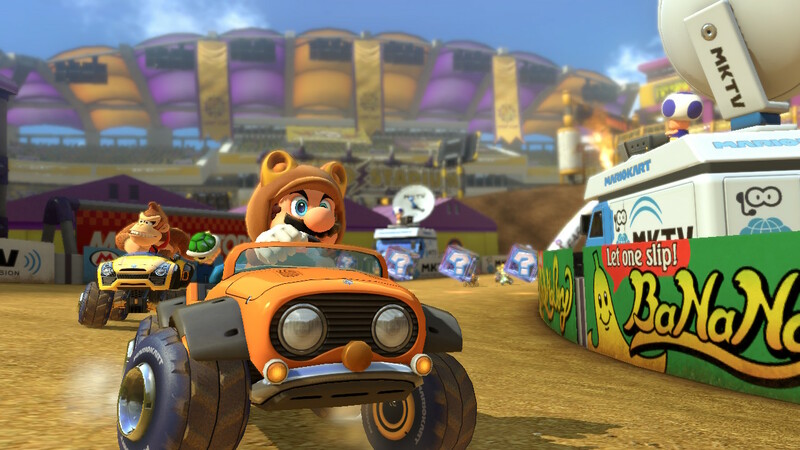 Now, with 120 hours of Mario Kart 8 under our belts and no signs of stopping, the Nintendo Switch's Mario Kart 8 Deluxe goes down as one of the best kart racing experiences found anywhere. Both episodes of Sonic the Hedgehog 4 turned out to show that Sonic Team and its associates really didn't know what made the classic 2D games so beloved by fans. Thus, a team that originally made Sonic fan-games before getting called in by SEGA to make some HD ports of Sonic 1, 2, and CD, stepped in to show Sonic Team how it was done. 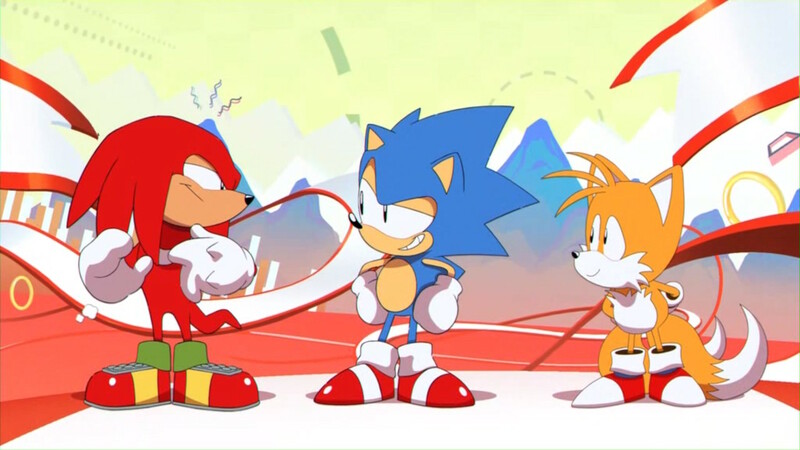 ...That's not totally fair, as Sonic Team did have a hand in Sonic Mania, which became one of the my favorite Sonic games of all time. It rivaled Sonic 3 & Knuckles in scope and size, took classic zones and custom fitted them with all-new obstacles, challenges & mechanics, introduced four new zones that wouldn't feel out of place in any Sonic game of yore, and added some unique gameplay elements like the Drop Dash, something most of us never knew we wanted before. Now that the move's here, we sort of can't imagine playing a Sonic game without it! 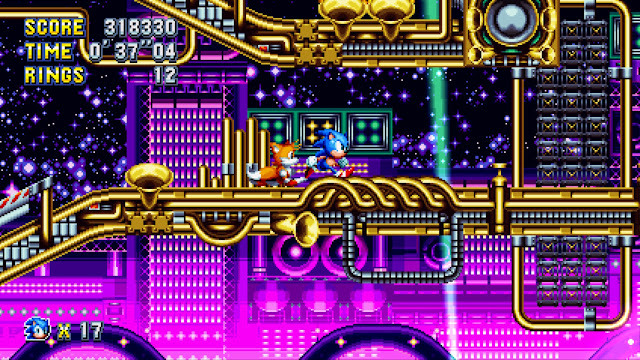 Complete with an insane soundtrack and colorful, crisp, inviting visuals, Sonic Mania was the real deal and finally put Sonic the Hedgehog back into relevancy with the more older and jaded fans of the franchise and the gaming community itself. Last year, Uncharted 4: A Thief's End was runner-up in the Games of 2016 category at the SuperPhillip Central Best of 2016 Awards. 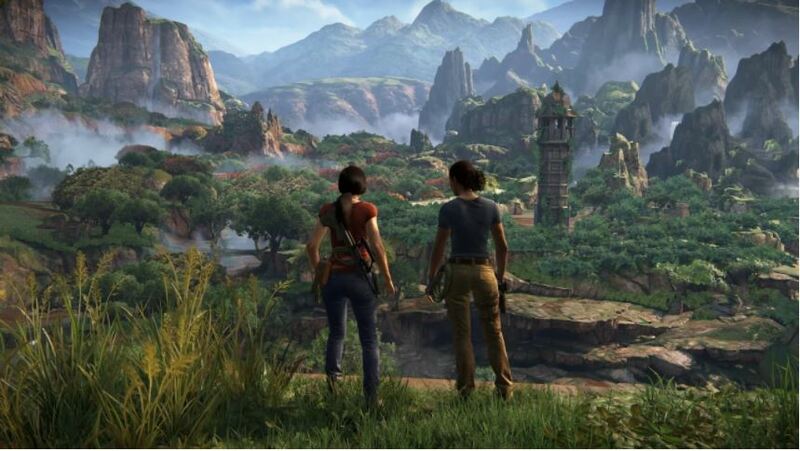 Its brilliant conclusion to the protagonist Nathan Drake's adventures, the pulse-pounding action, well done and delivered dialog, and jaw-dropping visuals made it get deservedly high on the list. 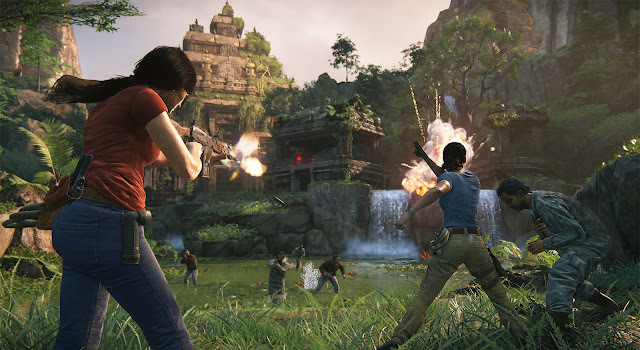 This year, Uncharted: The Lost Legacy, featuring two strong women characters in action, actually being portrayed as confident and self-sufficient rather than how a sad majority of women gaming characters are written, managed to knock my socks off. Naughty Dog once again provided PlayStation 4 owners with one hell of a ride, even beating Nate Drake's final foray in the pacing department. The Lost Legacy gave me moments where my adrenaline kept me playing long into the night, and longer than I should have frankly stayed up. 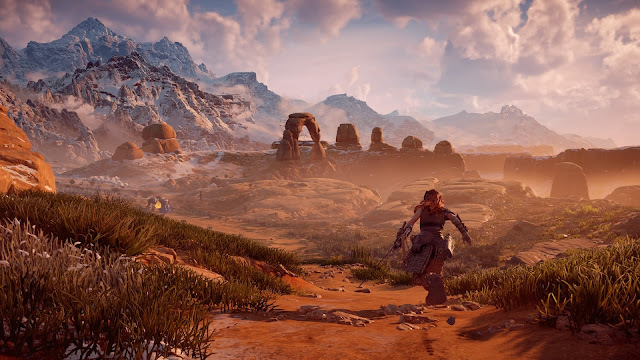 Yet, I was so engaged with the game, the story, the sections with non-linear exploration, and the frenetic fighting and gunplay that I couldn't tear myself away from the game. That's one hell of an accomplishment coming from this blogger, which is reason enough to put Uncharted: The Lost Legacy as the number four pick on this list of games of 2017. However, Naughty Dog's effort was astonishingly outdone this year, and by an unlikely source! The studio behind Killzone of all games, a franchise that I don't generally have a high fondness for outside of the PS Vita game, created one of the most memorable and breathtaking games of 2017. 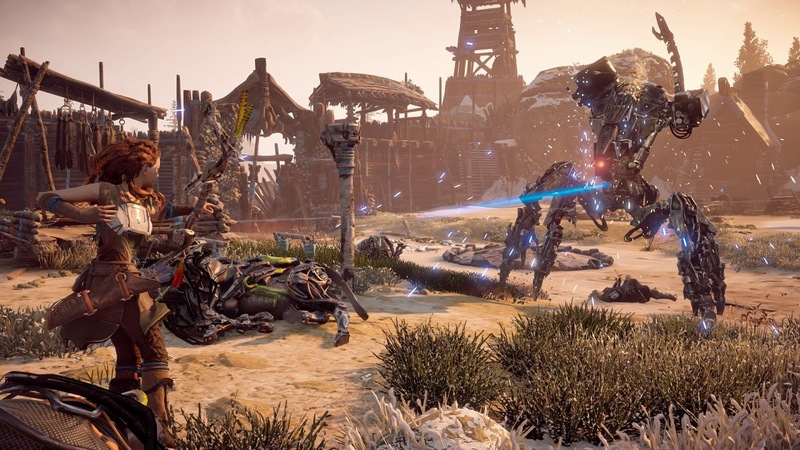 It was Guerrilla Games' Horizon: Zero Dawn, an open-world action-adventure having its heroine Aloy in the center of a war between humanity, machinery, and her own identity. The myriad ways to go about hunting, tracking, and taking down the wide arrangement of dangerous machines and robots with the game meant that every encounter, no matter what type of geology you had to work with, was different and providing variety. Even battles against lower threat foes were fun and engaging. Couple that with a story that kept me want to seeking out its conclusion, the amazingly real-looking visuals and glorious vistas rampant throughout the game, and the rewarding crafting and upgrade systems involved made for an adventure that I will not soon forget, but I will always cherish it. This was Horizon: Zero Dawn, and this was SuperPhillip Central's favorite PlayStation 4 exclusive of 2017. It's not every year that a new 3D Mario releases on a Nintendo home console. It's also not every year that a new 3D Mario releases within the first nine months of the home console's release. 2017 was the common ground between both statements as Super Mario Odyssey went around the world and back on the Nintendo Switch this past year. 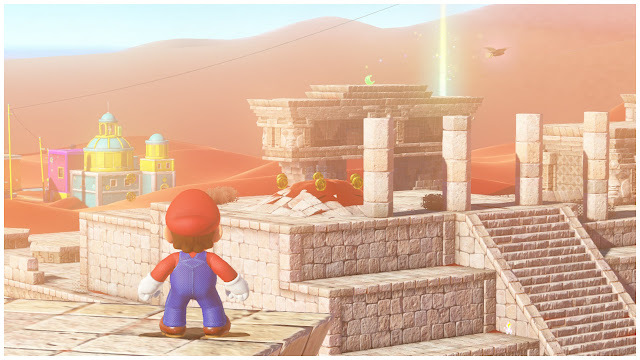 Mario was indeed back, and his global adventure saw him see various worldwide sights, from pyramids and greenhouses, to culinary kingdoms beside an active volcano and even directly into Bowser's oriental-themed castle itself. Over 800 Power Moons meant that collectors and completionists would have lots to play through, but it also meant beginning and casual players could pick up the easier moons within the game and progress through the story as well. In Super Mario Odyssey, never before had Mario been so versatile with his move set. Chaining actions to create massive combos of successive leaps and moves to cross large areas of space were fantastic for speed runs and reaching new, hidden heights. Whereas beginners could stick to the basics and still find enjoyment in the game. 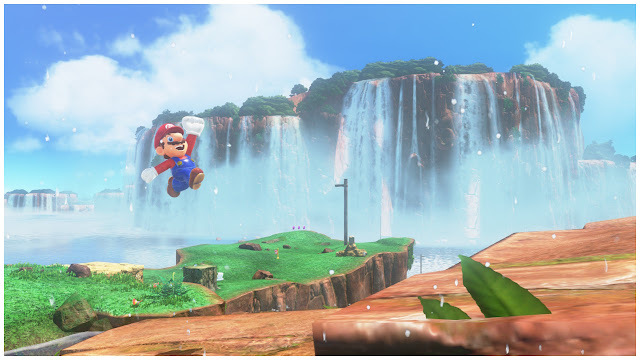 Super Mario Odyssey was one of the few games released this year that consistently amazed me with its continuous flow of new ideas and personality. When I wasn't smiling while playing, I was laughing and giggling like a schoolboy. Super Mario Odyssey continued Nintendo's ability to provide smiles to players the world 'round, including yours truly. It's astonishing to see a gaming year bring us both of Nintendo's highest rated and celebrated franchises on one system. With The Legend of Zelda: Breath of the Wild, Nintendo gave players a sandbox world to explore and literally play around in due to the masterful physics system provided. It seemed every hour from launch that new ways to interact with the environment and take out enemies were being shared by players. This constant state of amazement that Breath of the Wild brought to the gaming world was truly extraordinary. There are still new things being learned and shared to this day, almost a year from the game's initial launch. 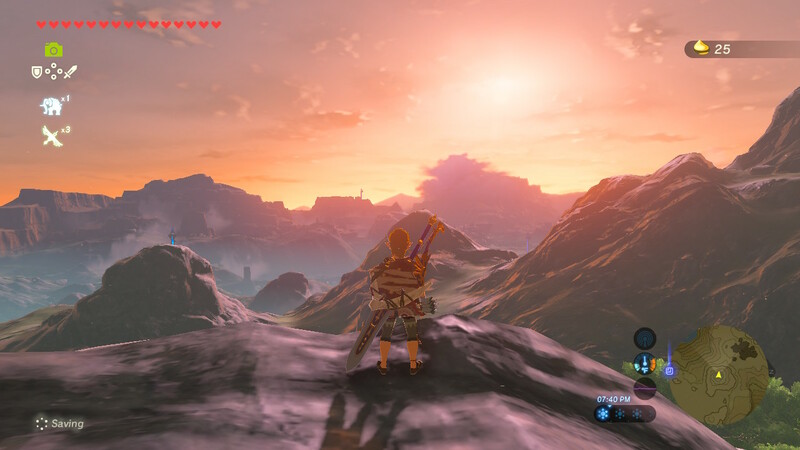 The world was your oyster, the sandbox was yours to explore, and the various lands, areas, people, and puzzles making up the land of Hyrule all felt unique from one another. There is something to be said about a game that has flaws that don't tarnish the overall experience for me. 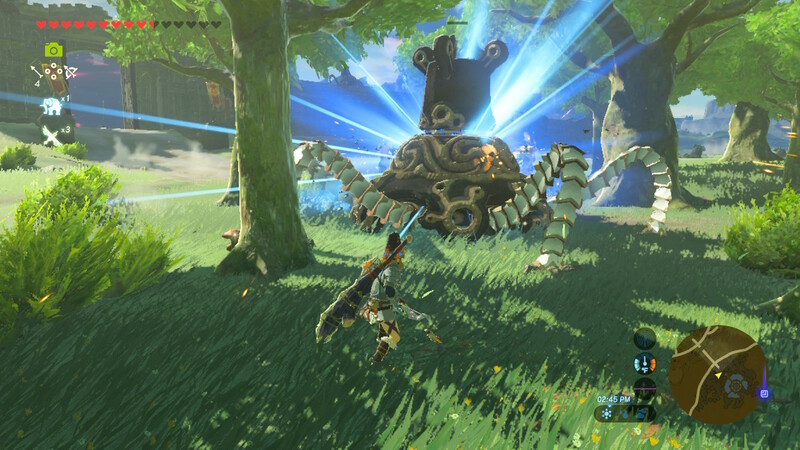 The Legend of Zelda: Breath of the Wild is no perfect game, but what it is - is a gameplay experience, memorable journey, exciting adventure, and lovely game world that has now rivaled some of my favorite games ever made. And with that, another year of the SuperPhillip Central Best of Awards ceremony is now complete. Ten years of game awards on SuperPhillip Central are now in the books. I hope you enjoyed the awards show here, and I hope you will continue supporting SuperPhillip Central now and for the 2018 Awards!